For copyright protecting purpose, Spotify only allows Premium users to download Spotify playlists/songs for offline playing. However, there are different ways for music lovers to get a Spotify playlist easily without purchasing the Premium subscription. 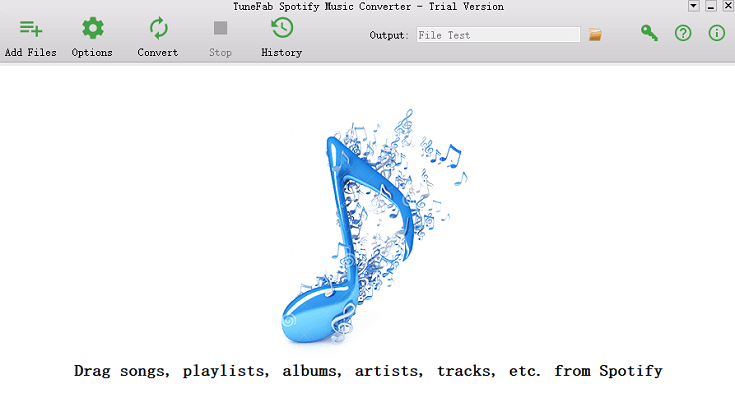 One ideal solution for Spotify lovers who don’t want to pay $9.99/month is using TuneFab Spotify Music Converter – The perfect Spotify playlist downloader. 5. Spotify songs converted by TuneFab can be imported to any player. By clicking the downloading button here, the excellent Spotify Music Converter will be downloaded to your computer. Follow the instruction of the system and install it. It provides a 30 days free trial, you can test the program and don’t pay until you know that it worth it. 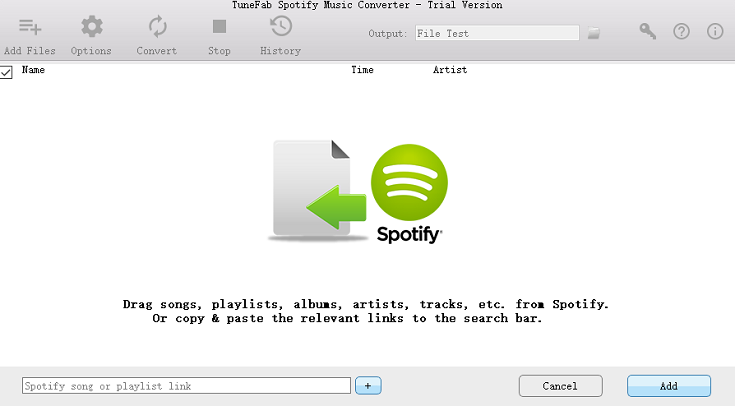 After installing TuneFab Spotify Music Converter, launch it. If you’ve installed the Spotify Music app on your computer as well, the system will ask to bring up the music library of your Spotify Music software. Click on the “Add Files” from the main menu. Then, as shown in the interface, there are two different ways for you to add Spotify playlists or single songs to the program. Drag and drop songs from Spotify Music library to the program or copy the Spotify playlist URL to the bottom of the program and click on “Add” to move on. 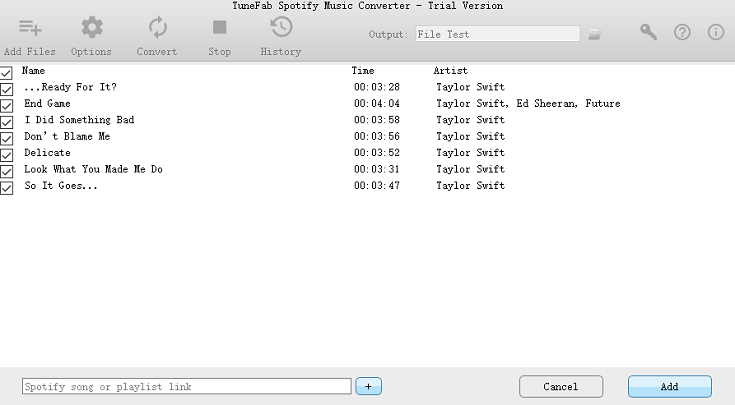 Once your Spotify playlist detected by the program, all the songs in the Spotify playlist will be all listed in the interface of TuneFab Spotify Music Converter line by line. You can preview them one by one and tick those you want to download. Then, hit on the “Add” tab at the bottom right. Click on “Options” > “Advanced” to show the supported music format. MP3, WAV, M4A, and FLAC are supported. Though these 4 all supported perfectly, MP3 is most recommended because it is the most widely used audio format that works for almost all music players, music editors, music equalizers, and so on. 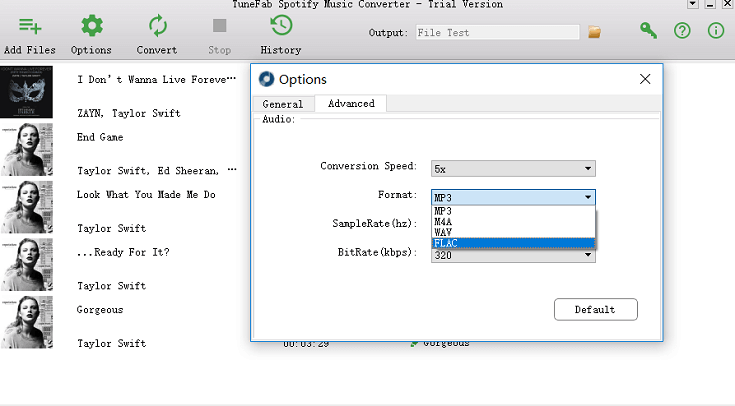 Moreover, you can also set the sample rate and bitrate as you wish. In the same “Option” menu, choose the “General” tab and you will see a column for the output folder setup. Hit on “Select…” to set it as the default folder. Now, here comes the most magical part. 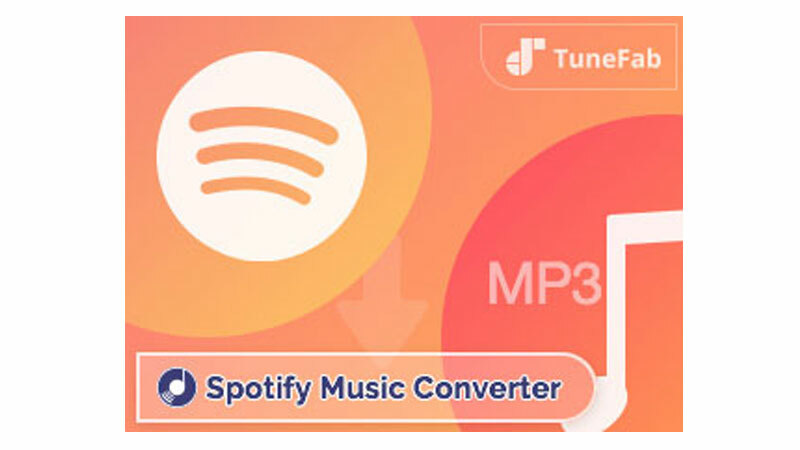 You just need to simply click on the “Convert” button of TuneFab Spotify Music Converter, then you can use this excellent Spotify playlist downloader to save your Spotify playlist in MP3 format. Now, what you need to do is to sit tight and wait until the end of the downloading. Note: All the Spotify songs will be downloaded to the default folder you just created within minutes. 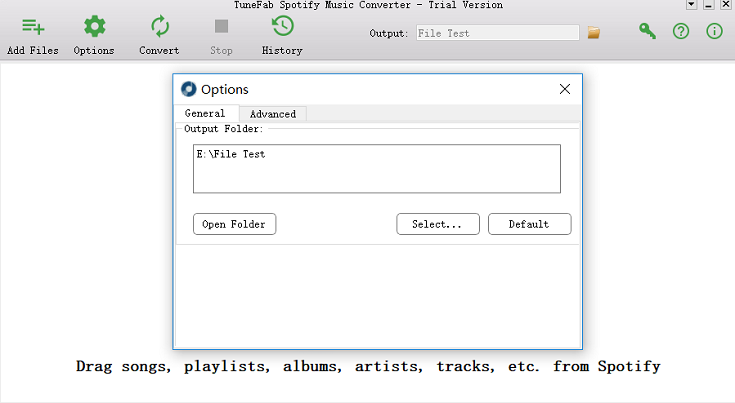 TuneFab Spotify Music Converter is an excellent Spotify playlist downloader that allows you to save multiple Spotify playlists for offline playback. You can save the song as MP3, WAV, M4A or FLAC format as you wish. 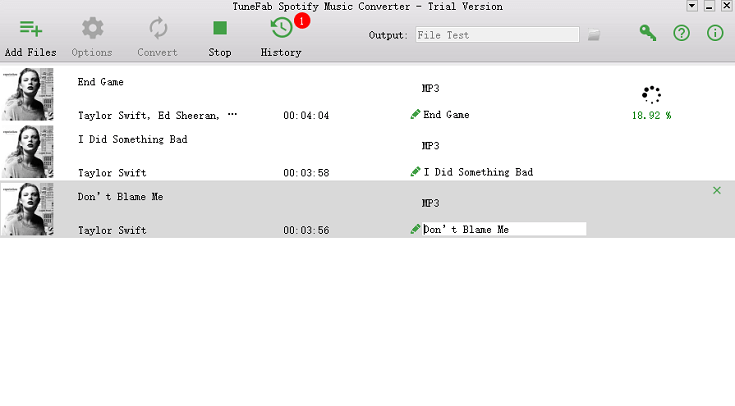 As a big fan of Spotify music, I prefer downloading Spotify songs with TuneFab Spotify Music Converter as it provides more excellent features.